Enjoying a delicious meal can be one of the most pleasant and fulfilling experiences. Bonita Springs is a wonderful Southwest Florida coastal community that is well known for its natural beauty, breathtaking scenery, outdoor recreation and activities, luxurious lifestyle, premiere real estate options and some of the finest restaurants around. Residents and visitors to Bonita Springs enjoy the beautiful beaches and golf courses and they also take advantage of the outstanding shopping and dining experiences around the community. When it comes to dining, you will never be far from waterfront seating, which offers you a front row seat to the most beautiful sunsets you will ever experience. From high-end steakhouses, to one-of-a-kind restaurants offering freshly caught seafood you are sure to enjoy the finest epicurean creations, beautiful tropical atmosphere and overall wonderful dining experience. The Survey Café is a small historic house that was turned into a Café. The menu is simple and offers delicious creations made with fresh ingredients. Breakfast sandwiches, bagels, delicious wraps, fresh salads, flatbreads and the house special of Grandpa’s Gator Cakes are just a few of the menu items to look forward to. The Survey Café is also known for its organic coffee and eco-friendly to-go containers and cups. Residents enjoy mornings at the Café where they can access free Wi-Fi while they read the paper and enjoy a fresh cup of coffee. A Table Apart focuses on sustainable seafood and natural meats that are fresh and delicious. No hormones, no antibiotics – all natural and organic production. The restaurant is interested in promoting food as a culture and also raising awareness of eating healthier and more natural foods as outstanding culinary creations. Some of the wonderful choices off the menu include the roasted portabella no crust pizza, the pear salad, fried yellowtail served with a noodle salad, organic salmon and many other delicious dishes. If you enjoy fine Peruvian cuisine then Inca’s Kitchen is a must-stop for you and yours. Chef Rafael Rottiers created a unique and traditional Peruvian restaurant where thousands of residents and visitors to the Southwest Florida area can enjoy a wonderful variety of Peruvian dishes in a pleasant setting. The traditional Peruvian dishes use a wide range of special spices and flavors to create unique and tasty servings of ceviche, chicken sauté and a combination of other produce and meat. For Mediterranean cuisine and a continental dining experience make sure to stop by Figs Grille. The menu has something to offer for everyone including kids, vegetarians and adventurous foodies. Guests can choose from meat, seafood and vegetarian creations as well as salads and delicious appetizers. 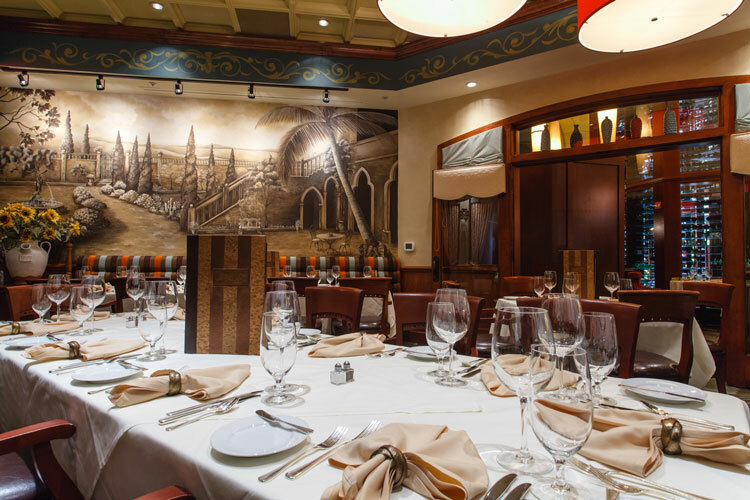 Angelina’s is a world-class restaurant offering delicious Italian food and fine wine. The delicious food and the 30-foot wine tower are some of the restaurants main attractions. The staff is extremely friendly and the atmosphere allows guests to feel comfortable so they can enjoy an extraordinary dining experience. The menu offers traditional Italian classics like handmade butternut squash ravioli and tender Carpaccio as well as unique and tasty dishes like the handmade pasta made with Maine lobster, cherry tomatoes, arugula and chili flakes. Coconut Jack’s is one of the best seafood restaurants in Bonita Springs. It is extremely popular among locals as well as visitors. Guests enjoy the outdoor seating, the creative cocktails and the delicious seafood that is caught fresh everyday. Try the shrimp and lobster ceviche, the mahi mahi tacos or the blackened scallop basket. There are so many other restaurants, cafes, diners and unique little stores to visit in Bonita Springs. If you ever need restaurant recommendations make sure to contact Dan Humbert and Alberto Quiceno! As local real estate agents they are also experts in pretty much everything that has to do with Bonita Springs. Whether you are in the mood for fresh seafood, a stack of buttery pancakes or something adventurous and unique Dan and Alberto will be able to point you in the right direction. If you are interested in learning more about Bonita Springs, the local restaurants and shops and the real estate opportunities available to you connect with the DNA Florida Real Estate team. Dan and Alberto will be more than happy to assist you with all of your real estate needs and answer any and all of your questions about Bonita Springs.